Welcome to the Jewels To Go web site! Here you will find unique jewelry and gift items. Many items are handcrafted all over the world. Additionally you will find many eco-friendly and fair trade items. One of the hottest items being offered at Jewels To Go is Zulugrass jewelry. Zulugrass jewelry is a product of the Leakey Collection. These wonderful zulugrass jewelry necklaces, bracelets, anklets, are made by the Maasai women of Kenya. 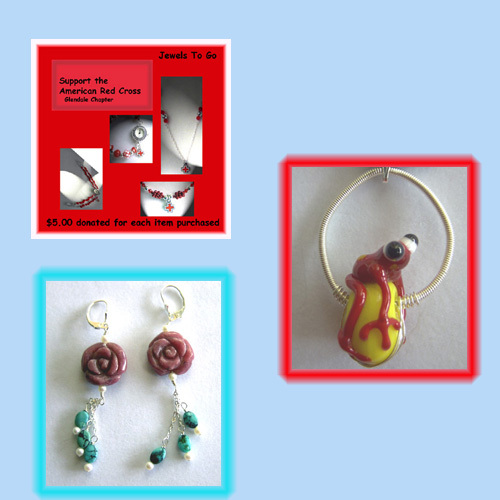 Zulugrass jewelry is a must see! Zulugrass jewelry, zulugrass multistrand necklaces and zuluwood are a must have!! Sarena Mann mobiles are beautiful and fluid. Sarena Mann has captured motion in all of her pieces. She designed a line of small figurative sculptures which has since expanded into a stunning array of colorful, whimsical figures and mobiles that are shown at fine contemporary craft galleries throughout the United States and Canada. The mobiles you see pictured are the actual mobile you will purchase. All of the products offered at jewels to go from classic to fun looks! So take a look around. Click here to see a video of a hot new item - MOVA GLOBE.